Lately, I have been spending a lot of time in Mainz, a smallish city hugging the Rhine, about 40 minutes south-west of Frankfurt. 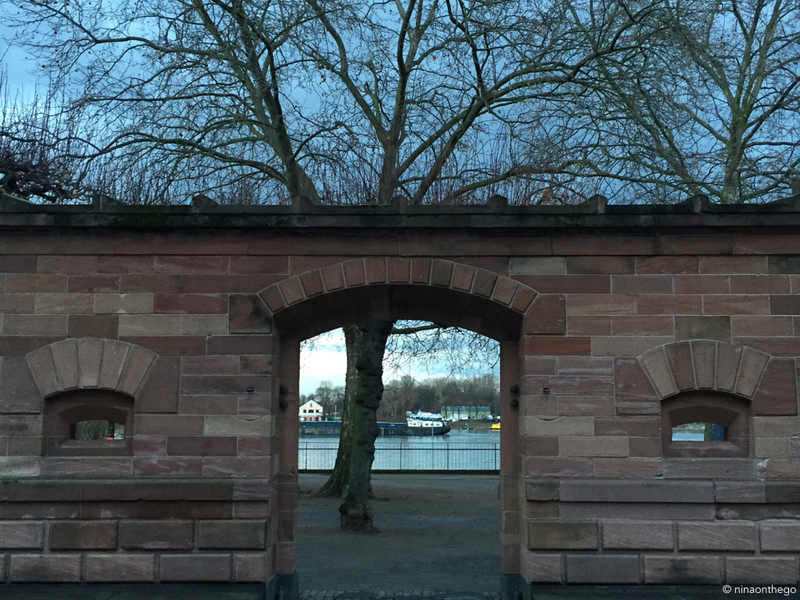 One of my first experiences in this part of Germany was walking through Mainz's old town as snow softly fell, in the early weeks of December. I seriously thought I had landed smack dab in the middle of a movie set. I couldn't believe that this place was really where normal people lived. But, it is...and now I even know some of them! 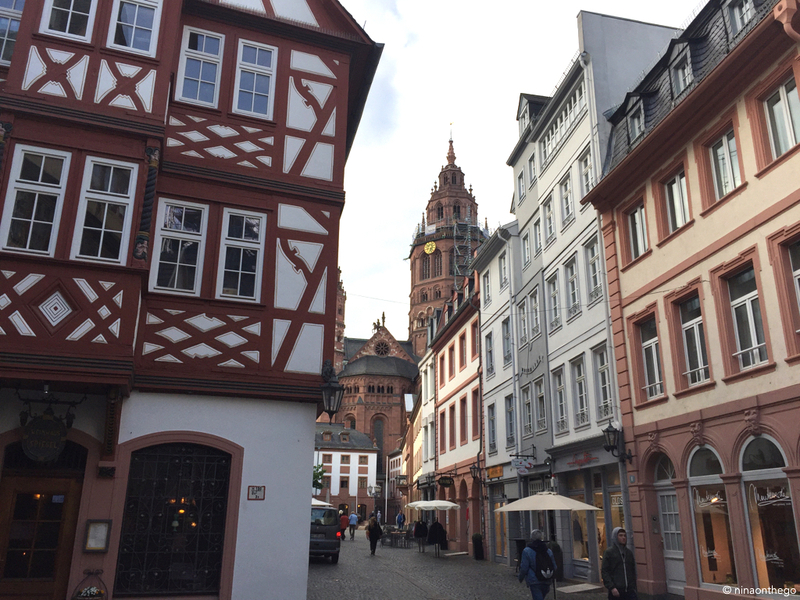 The Altstadt (old town) of Mainz is not very big and therefore, whenever I'm wandering around the city, I make sure to take one of the cobbled lanes to get to where I'm going. 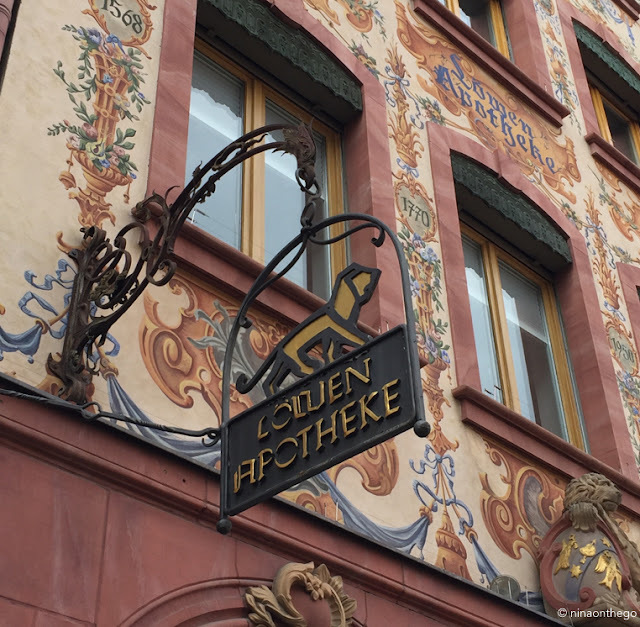 In the oldest part of the Altstadt, the lanes are narrow, the doors are low, and the facades are each an individual work of art. 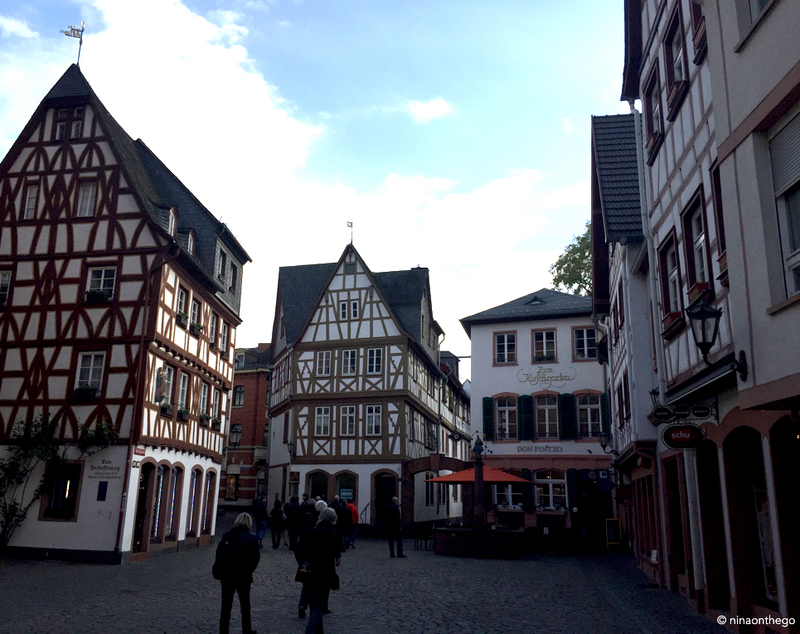 At street level, most of the buildings are home to cozy cafés, bakeries and restaurants serving hearty German fare. 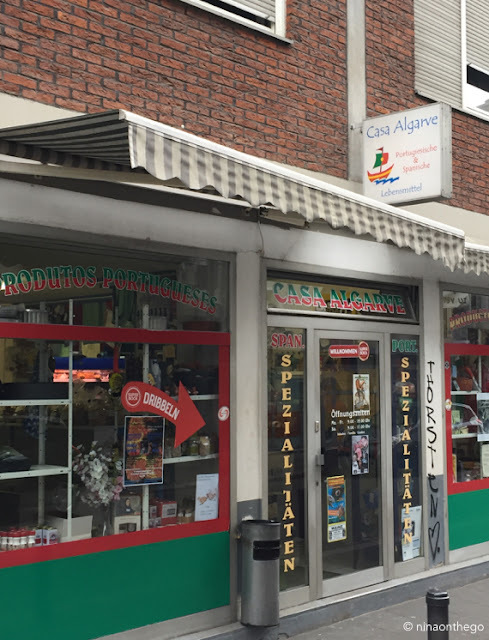 Along with many interesting stores, everything from antiques and higher-end second hand stores, to interior design, jewellery and art galleries. 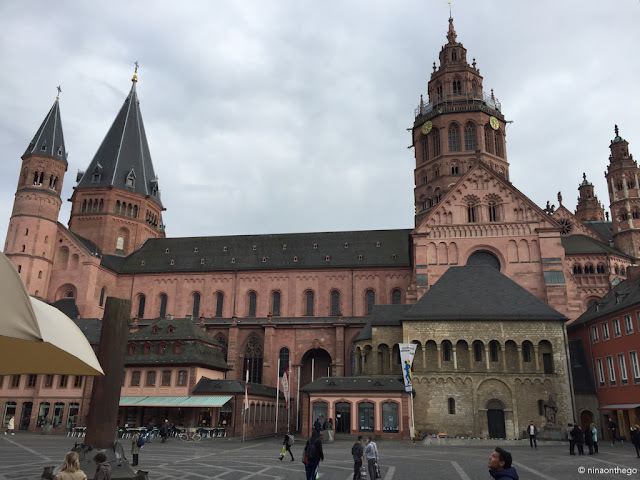 One of my favourite things to do when I have visitors is to take them to one of Mainz's hidden treasures. 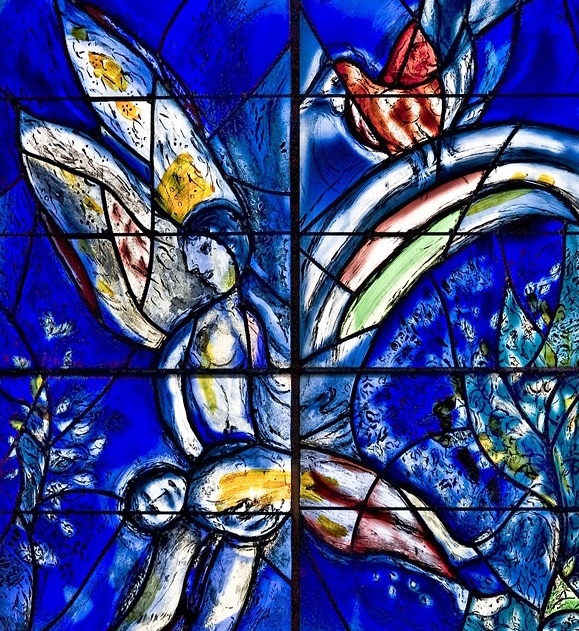 Located in a church at the top of the only hill in the Altstadt are the stained-glass windows which Marc Chagall was commissioned to create in the late seventies. 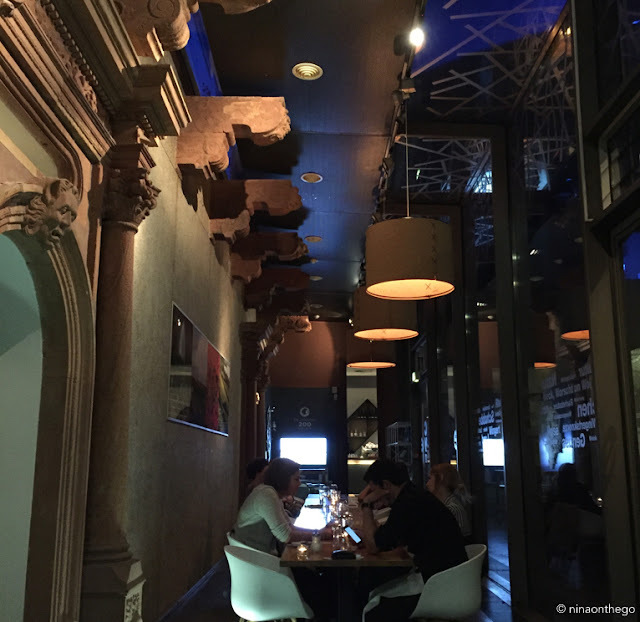 Walking amongst them is like being in an iridescent art gallery, the light streaming through the windows transforming everything into hues of blue and green. I think it's a spiritual experience. 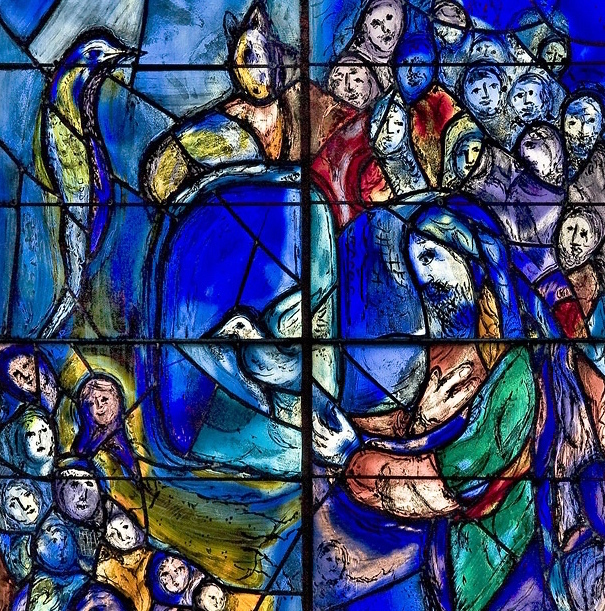 And while the windows, depicting scenes from the life of Christ, are relatively new, there are other windows that you will come across in houses much much older. The house pictured below is nestled among the other half-timbered houses on the square called Im Kirschgarten (in the cherry garden), which has existed in this constellation since 1329. 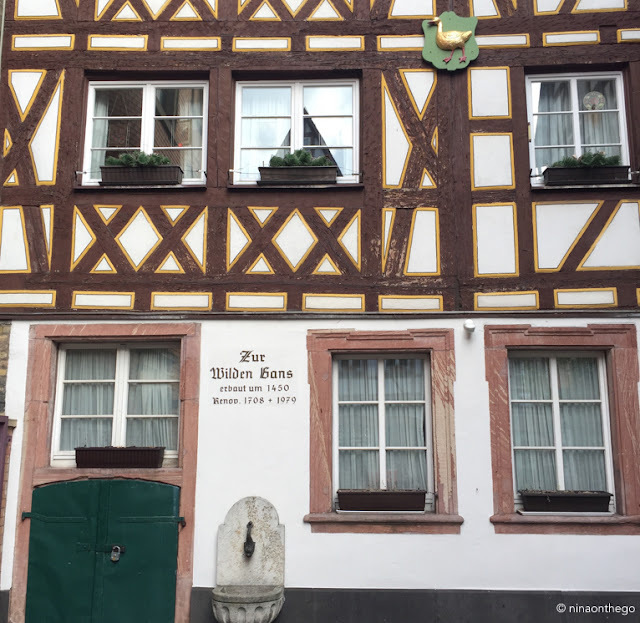 Walking through the Altstadt you can still see original and recreated sections of the town wall, which until the late 1800's encircled the town. Mainz's expansion goals eventually broke through the wall, even spreading across the Rhine into a total of five new boroughs. 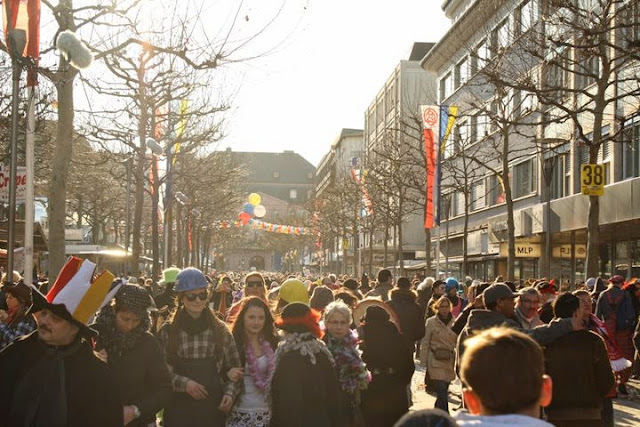 The large Domplatz, obviously dominated by the Mainz Dom cathedral, is a busy gathering place for all of the many festivals and markets which take place in Mainz year round. 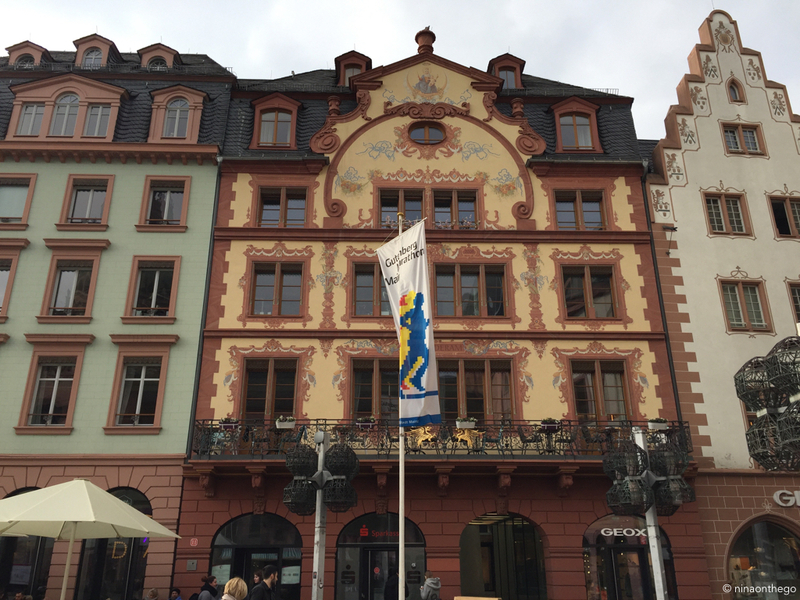 The painted facades and ornate details on the buildings enveloping the square always cause me to look up. They are so beautifully maintained and their presence add to the enchantment of the entire area. Why can't we paint houses like this anymore? Carnival parades and parties in February, weekly vegetable markets and almost monthly wine markets keep the platz hopping. 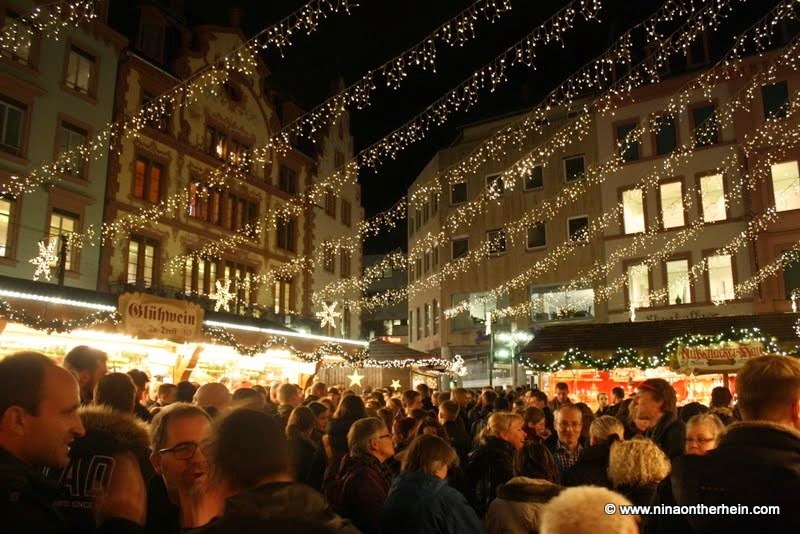 But my favourite event, by far, is the Christmas market which takes over the city (pretty much all towns and cities in Germany) for the month of December. What I love about the Christmas market here is that the Dom Platz is basically covered in a fairy blanket of twinkle lights. It is seriously pretty...and seriously crowded. 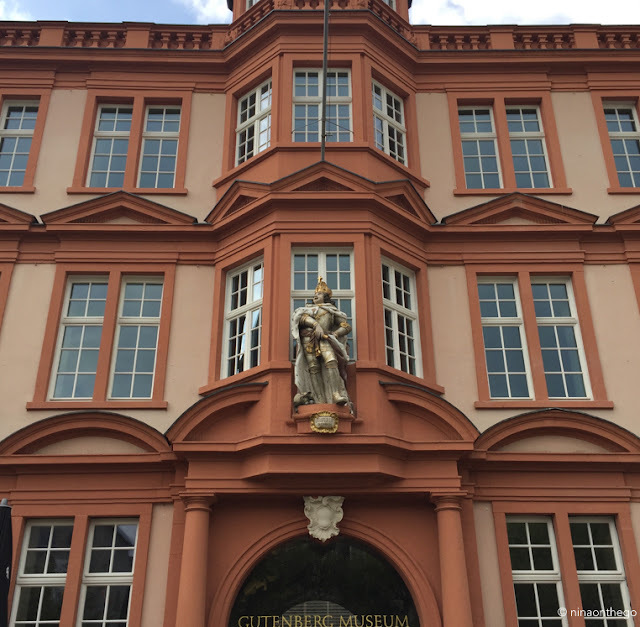 Also on the Dom Platz, kitty-corner from the Dome, is the Gutenberg Museum. Six hundred years after the birth of the inventor of the printing press, who lived and died in Mainz, the museum displays Johannes Gutenberg's achievements which transformed our world. 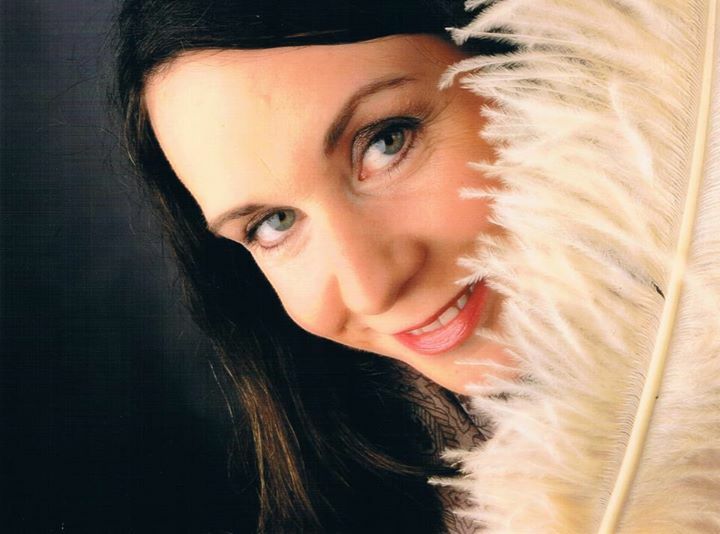 and to enjoy the company of friends. 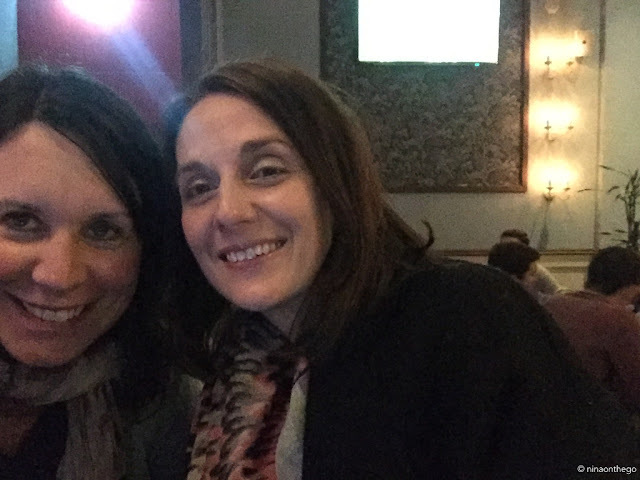 Another friend of mine who was visiting from Canada, but who had spent a lot of time over the years in Mainz, tugged us through pouring rain to reach her favourite bratwurst stand - the deli/butcher/kiosk called Schlemmermeyer. 'Schlemmen' is the German word for 'pigging out with great enjoyment'. And that is what we did. Nowadays, I try to avoid passing by too closely. The entire Altstadt lies on a former Roman settlement, whose ruins are still to this day being uncovered when new building projects dig too deep. 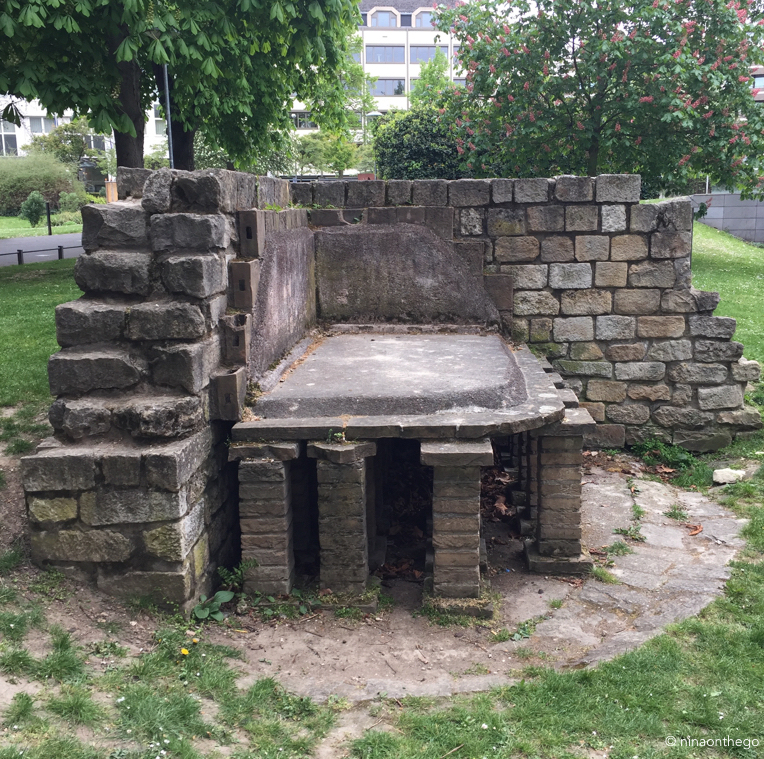 Last week I came across the display of a Roman home, where you can clearly see their development of floor heating technology. I thought this was pretty neat since I'm quite the fan of floor heating. 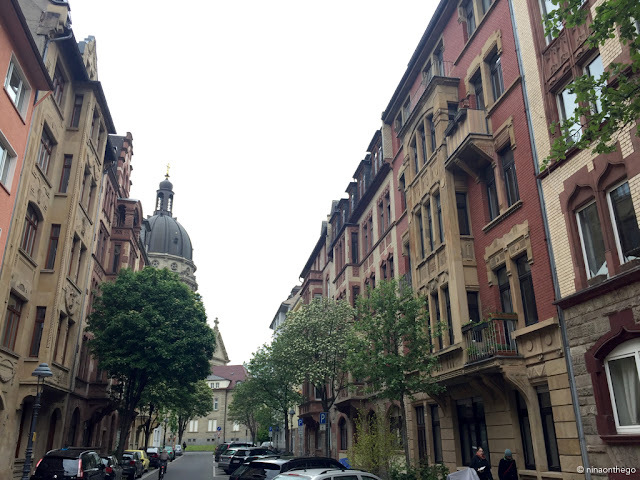 The north side of the Altstadt is flanked by the Bleichenviertel, loosely translated into 'the bleaching neighbourhood'. 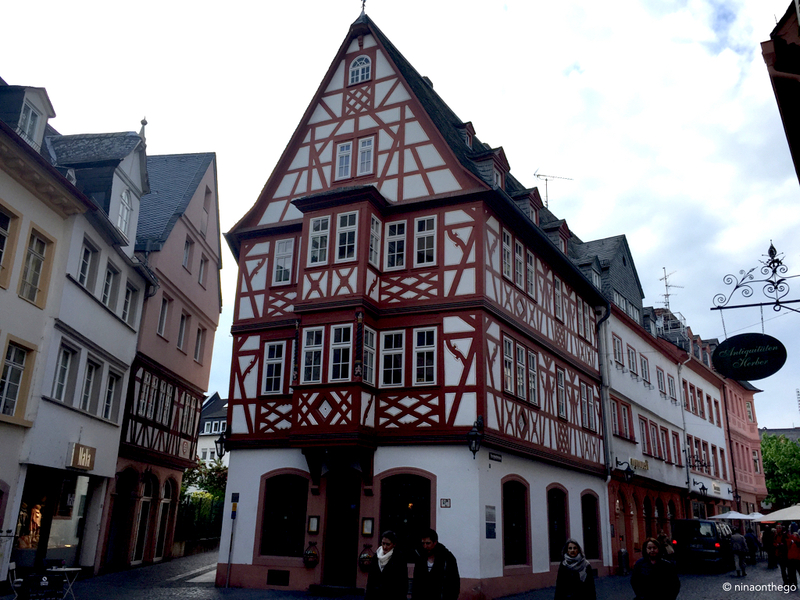 It is one of Mainz's original districts, and got its name from the barren fields edging long parallel-running canals. From the middle ages into the 17th century people used these long bleaching 'fields' to lay out their canal-washed laundry to dry and whiten it. The fields have long been covered with large blocks of prominent apartment buildings, and the canals have been filled in to create three very busy streets running the length of the Altstadt towards the Rhine. 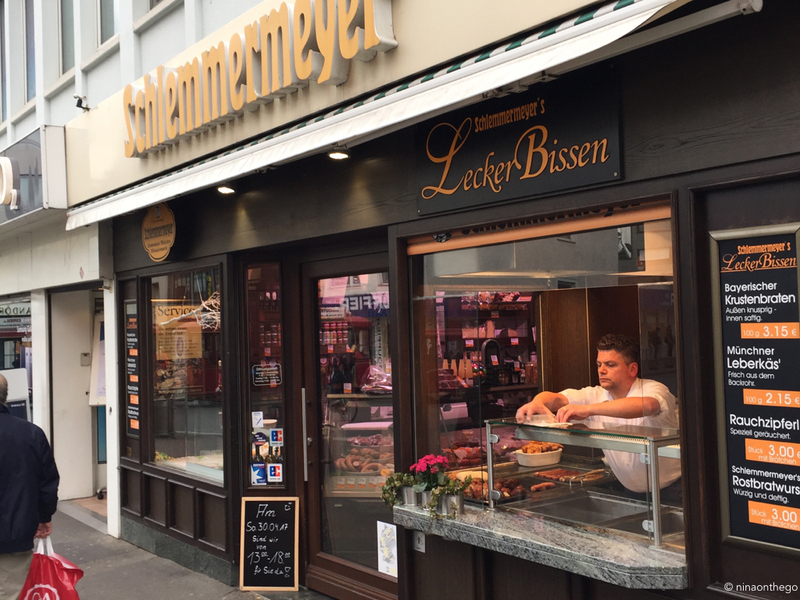 The Bleichenviertel is now home to a large immigrant population of Portuguese, Lebanese and Turkish families, many of whom have opened small food stores, shisha bars and restaurants. 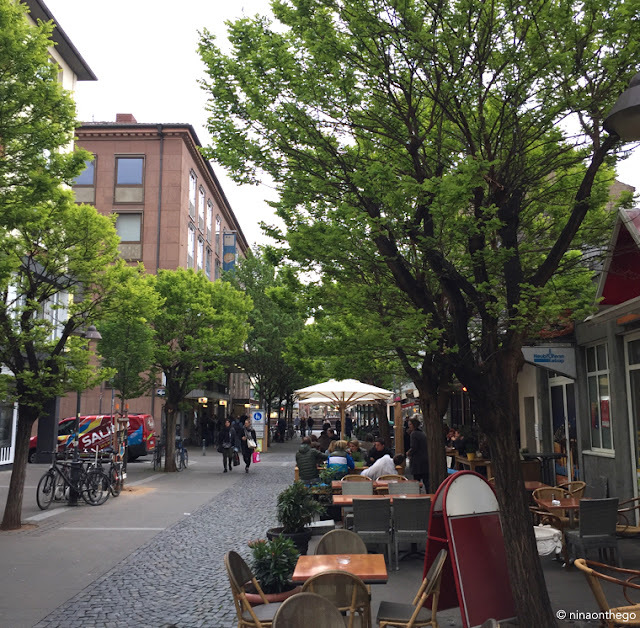 It is a loud and lively place, especially in the summer, when the cafés and bars spill out onto the sidewalks and pedestrian areas. And, of course, every small or large square in Germany wouldn't be complete without an imposing fountain and a statue of a ____ (insert animal, warrior or saint of your choice here). 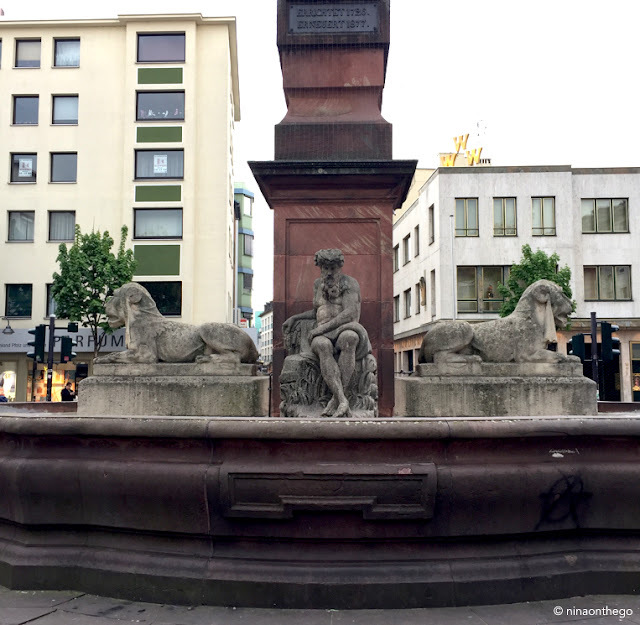 My favourite fountain, because it has not one, but two animals, sits ominously in the middle of the Neubrunnenplatz, a quaint square marking the beginning of Mainz's shopping area. 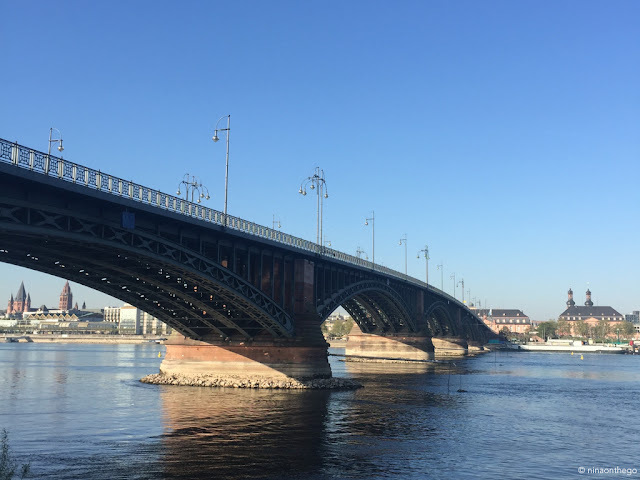 Last, but not least, no blog post about Mainz would be complete without a photo of its main bridge crossing the mighty Father Rhine. The banks of the river on both sides of the Theodor Heuss Bridge are transformed in the summer into sandy beaches of fun and sun. If you're in the area you should really come by!